Philips is demonstrating a new 3D digital grooming service concept at this year’s Cannes Lions Festival. The concept was developed in partnership with digital agency Isobar and demonstrates how Philips is leveraging cutting-edge software innovation to enhance the consumer experience and differentiate its brand. 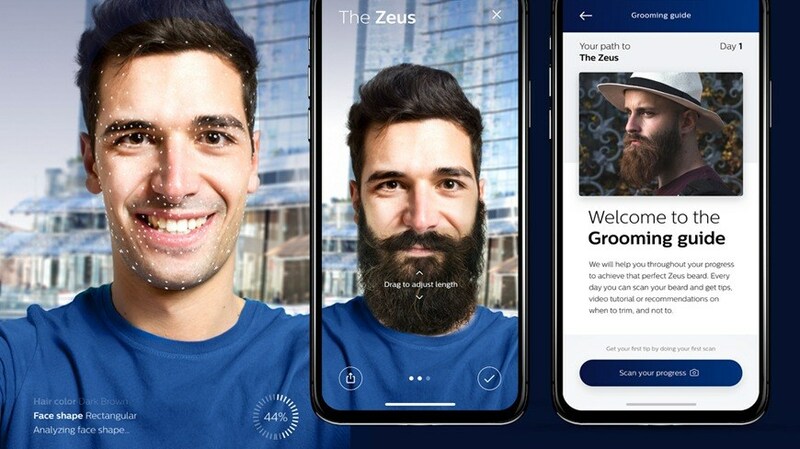 The service provides a grooming solution that uses augmented reality (AR) and facial mapping to enable people to ‘virtually’ try a range of trending beard styles in real time. In addition to the AR-enabled functionality, the service will create personalized advice with AI-enabled facial analysis and will assist men in executing and maintaining facial styles. Demonstrations of the concept are being held at the Dentsu Aegis Network Beach House during the Cannes Festival. Visitors will walk through a demonstration and will be invited to pick a style, try on a beard and learn to recreate the look. The app-based service will create a custom interactive grooming routine for each consumer and will use interactive tutorials that use your face as a canvas and provide rich information about each style. The service is the latest example of Philips’ growing portfolio of smart digital platforms and intelligent solutions that connect people, technology and data to give consumers data-driven insights into their health and personal routines and which give access to professional expertise and advice. Philips will be discussing their approach to digital, customer experiences and innovations alongside Isobar at the Dentsu Aegis Network Beach House in Cannes on Thursday 21st at 9am - 9:45am. This new concept follows the news that Philips sold its one billionth male grooming product, demonstrating the power of its investment in revolutionary technologies which help men all over the world effortlessly manage their personal grooming routine and create their individual style. Decades of experience and insights have enabled Philips to now be at the forefront of personalization in personal care, delivering innovative propositions that support each unique individual with solutions tailored specifically to their needs.